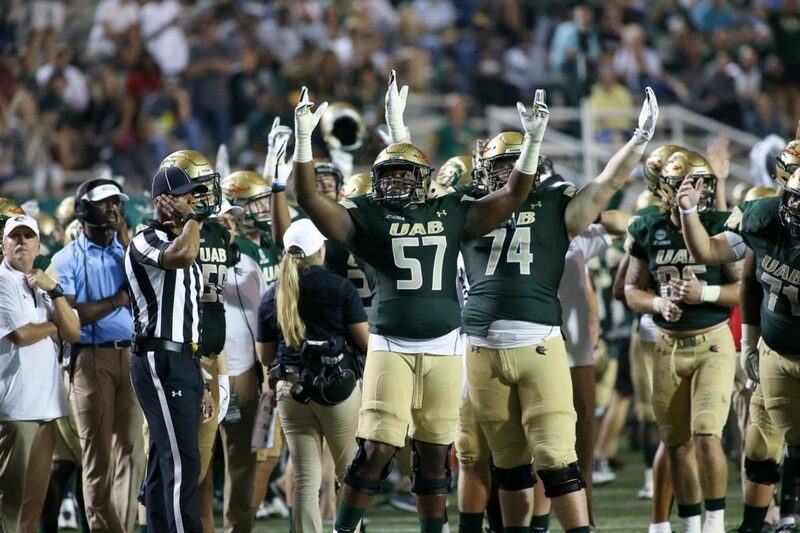 UAB offensive lineman Justice Powers is a big boy with a mean streak. He is a mauler for the Blazers and looks like a solid NFL prospect. I’m from Dallas, TX what I enjoy most is the culture of the city plus scenery. Depends, takes a lot for me to worry about something. I can remember a time when I failed a test I thought I passed so you can imagine my reaction. I overcame that failure by making a better study guide for the next test and blew it out the water. Three Strangers, Makes more people lives happier. Denzel Washington, Don’t know why I guess because he’s smooth. Going JUCO, I overcame that obstacle by staying prayed up and trusting God’s plan. Passing a three man twist. My little brother, so I can spend more time with him. Respected, It’ll get you further. Dallas Cowboy Defensive End Randy Gregory. My Dad; he helped shape the man I’ve become today.